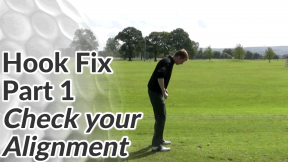 This first anti hook golf drill will help you to control the rotation of your hands through the ball. A hook shot usually results from a swing path that is too much from the inside (too much from in-to-out), which starts the ball along way right of the target (for the right handed golfer). The hands and forearms then rotate over very aggressively to ‘save’ the shot – curving the ball violently from right to left so that it finishes left of your target. 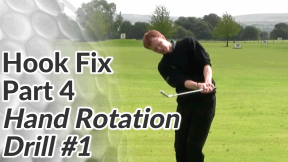 The anti hook drill below will help you get a feel for controlling the rotation of your hands. But you also want to ensure that your swing path isn’t too much on an in-to-out line – which encourages aggressive hand rotation. 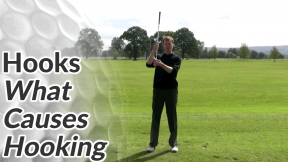 Taking one of your mid irons, make some pitching-type practice swings. 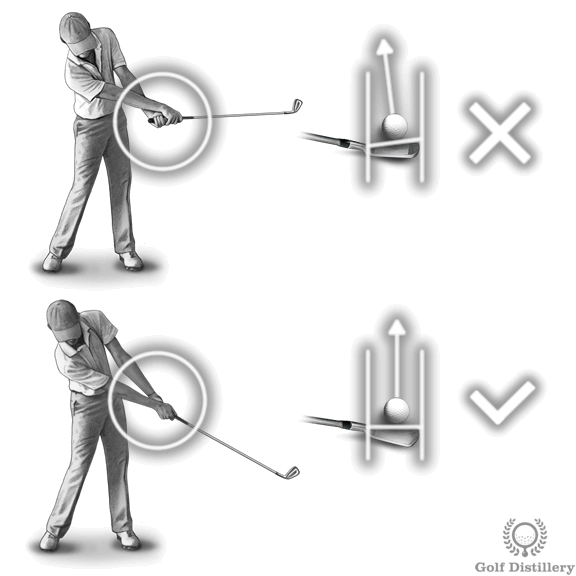 Feel how your hands don’t want to rotate during the follow through phase as much as they would for a full swing. 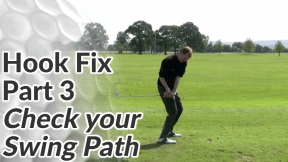 Take the club through to hip height on the follow through and make a note of the clubface position. Try to keep the blade of the clubface aiming up to the sky and avoid letting the face roll over. At the range you can make quite a few of these practice swings before you hit any golf balls. It will help you to get a feel for holding your hands off from rotating. You can then move on to the drill below. 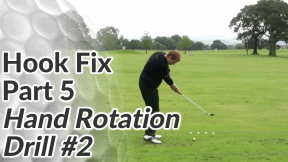 Once you’ve tried this anti hook drill, you can progress to the next drill, which will help you gradually control your hand rotation back to a full swing.